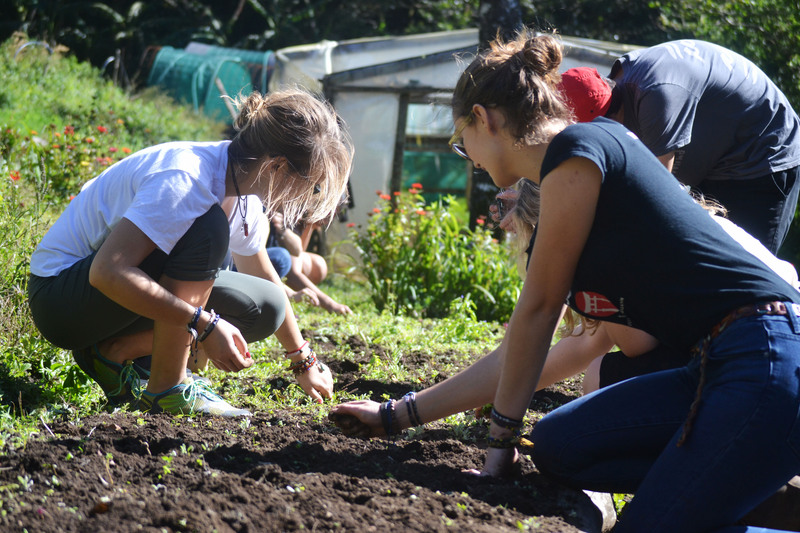 As part of their Environmental Science class, students from THINK Global School have the opportunity to experiment with growing crops in Costa Rican soil. 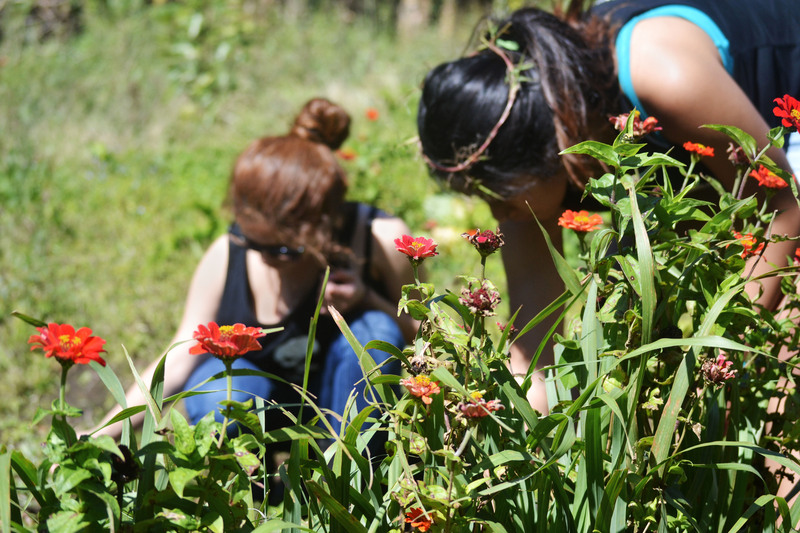 This weekend, students wasted no time in getting to work on the campus garden. 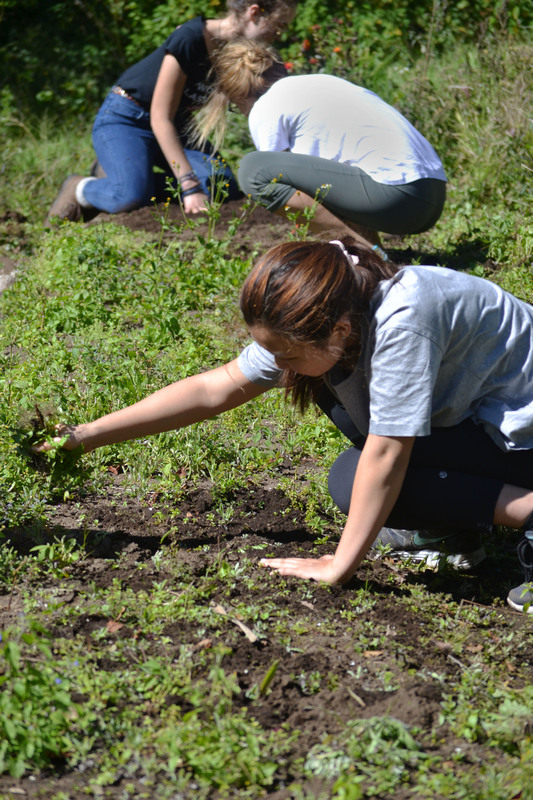 Hannah Cho shakes off loose soil from a handful of weeds. 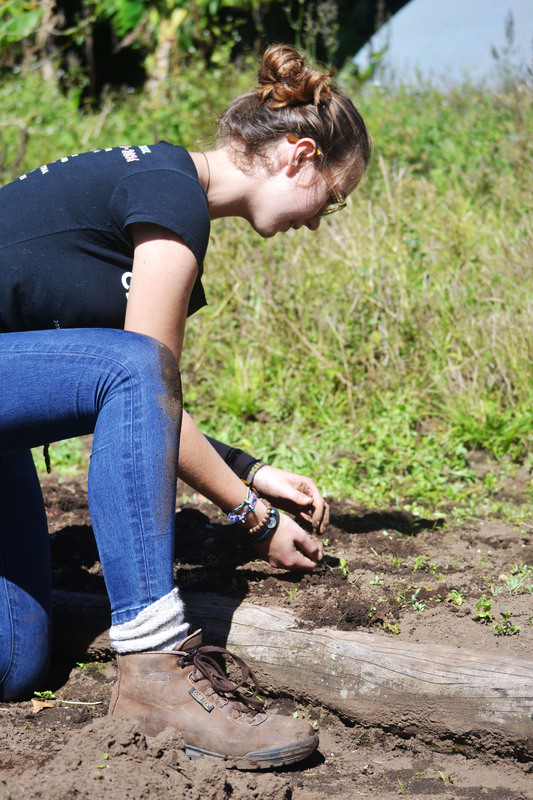 As part of the Environmental Science class, she will spend Saturdays maintaining parts of the UGA Costa Rica farm. Melissa Medrano-Carrillo and Seldon work side by side behind a wall of flowers that will serve both as pollinators and windbreakers for the to-be-determined seedlings. Not afraid to get her jeans muddy, River Wittke plucks every last weed from the bed. Students hunch over one of the three beds for which they will be responsible during their trimester at the UGA Costa Rica campus. 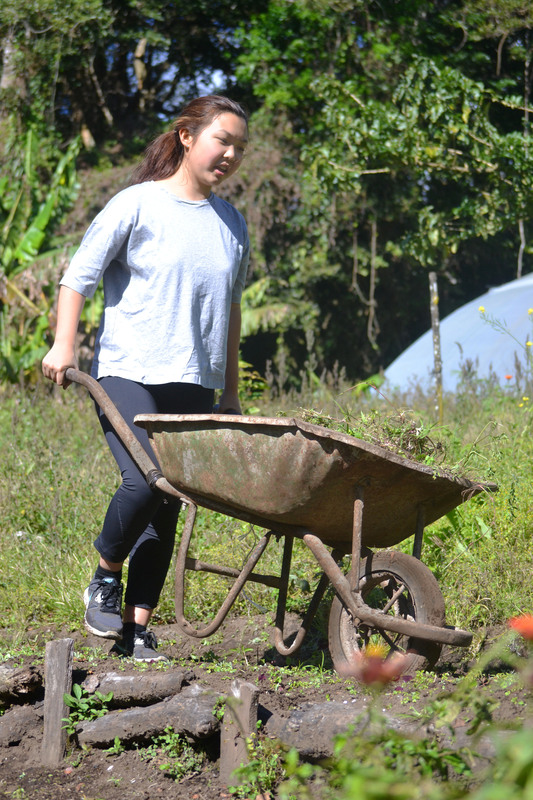 Cho heads for the farm’s compost pile, pushing the weeded grass and wildflower remains in a wheelbarrow.